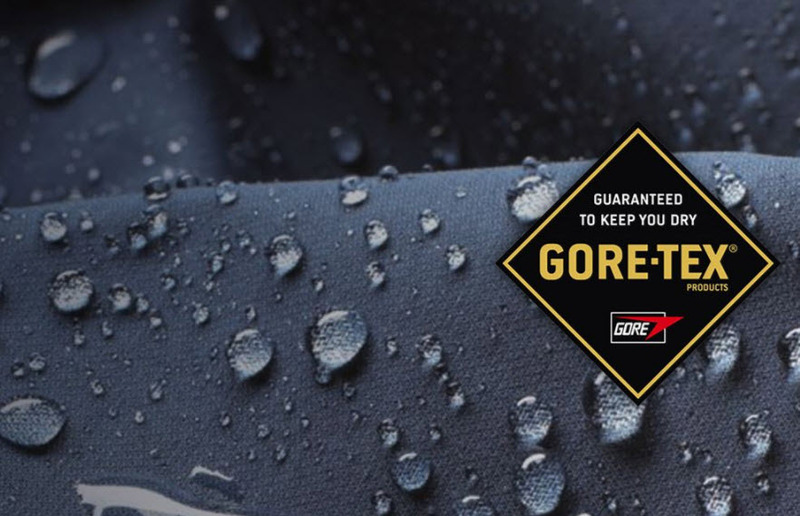 If you’ve ever embarked on an outdoor adventure, you’ve probably come across GORE-TEX, one of the top brands globally for protective outdoor clothing thanks to its combination of breathability and waterproof features. GORE-TEX fabrics can be found in more than just hiking jackets though, reflecting the company’s truly innovative nature: whether you are playing a range of sports, working for the police or fire service, on a NASA mission or even watching tennis at Centre Court in Wimbledon under the retractable roof which contains the material, GORE-TEX can be found in hundreds — no, thousands — of products. What you may not know is that Gore — the parent company of which the GORE-TEX fabrics are just one tiny part — is a truly innovative and astonishingly successful organisation. Gore was a Culture First company long before the culture first movement even existed. It has been named a ‘Great Place to Work’ for over 20 years in a row, has reported revenues of over $3 billion annually, and it shows no signs of slowing down. It’s not just by coincidence that the Gore culture and Gore products are both world leaders: the founder of W.L. 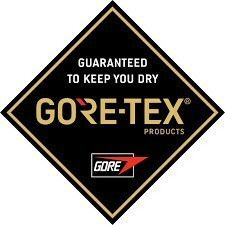 Gore and Associates, Wilbert Gore (known as Bill) designed his company with this exact thing in mind. He couldn’t stand bureaucracy and was driven by the conviction that a company could thrive without the usual hierarchies, ranks and titles. He set out to prove his hypothesis true. 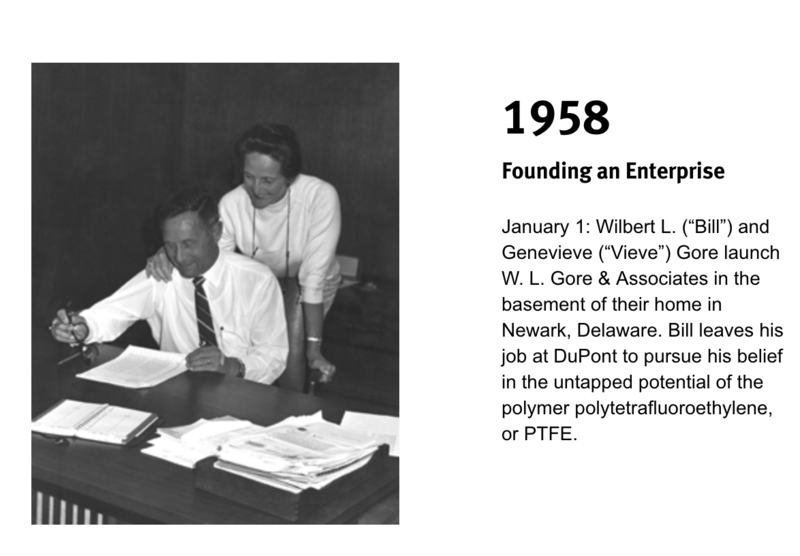 In 1958, Bill left his job of 17 years as an engineer at DuPont to launch a culture-driven electronics start-up in the basement of his home alongside his wife, Genevieve (known as ‘Vieve’). While working at DuPont, Bill would occasionally work in a task force — a small group of diverse colleagues with specialist knowledge who would gather for anything from six weeks to six months to solve a specific problem. At the time, in the fifties, colleagues would address each other as Dr, Mrs or Mr, but during the task force, this level of formality would dissolve and people would refer to each other on a first name basis — until the task force ended, after which they would return to their usual role, place and level of formality in the corporate hierarchy. After one task force in particular, during which the team focused on the polymer polytetrafluoroethylene, or PTFE, Bill felt that although the presenting problem had been solved, there was much more untapped potential to PTFE. He also found himself frustrated at having to return to the more traditional hierarchy (at DuPont, these task forces were a last gasp solution and would only be utilised when people couldn’t find a solution by working in the traditional hierarchy). Bill took the leap that countless would-be entrepreneurs have taken since, quitting his job and setting up W.L. Gore and Associates with Vieve. They believed that more was possible and were determined to organise around opportunity rather than organising by function. They had in fact been having this conversation for years, having first discussed workplace culture whilst backpacking in the Utah Mountains as teenagers. We can see this similar "organise around opportunity" model in how companies like Facebook, Spotify, Transferwise and numerous other tech companies have scaled their businesses. - Why should an organisation wait for a crisis before making changes, taking risks or discovering breakthroughs? - What if it was possible to run a company without chains of command and stifling hierarchies — with no bosses, no vice presidents and no supervisors? 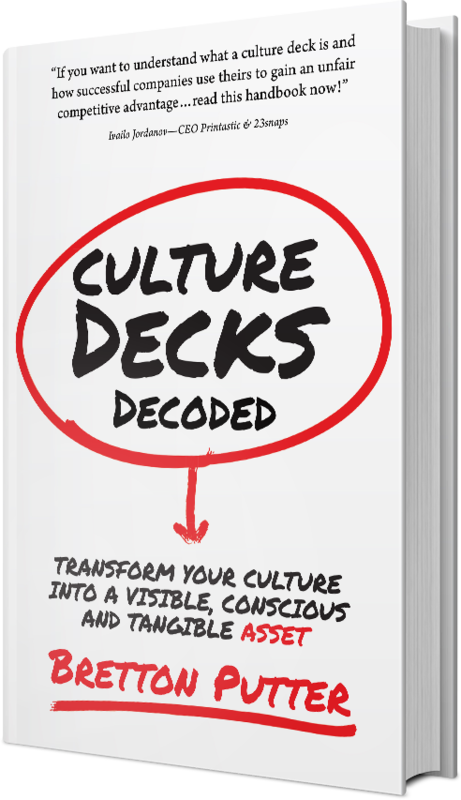 - What would happen if you threw out the rule book and created an organisation that valued human flourishing and inspired work at its core? Would it still be possible to deliver consistent profitability and growth? - What impact would be created if you gave everyone in the company permission to speak to anyone else? - What needs to happen to create a company where work is exciting, challenging, fun and self-directed? - In fact… why couldn’t an entire company be bureaucracy free? Bill and Vieve didn’t wait for ‘someday’ to test out their hypotheses; they built their business from the ground up according to these instincts, and it worked. 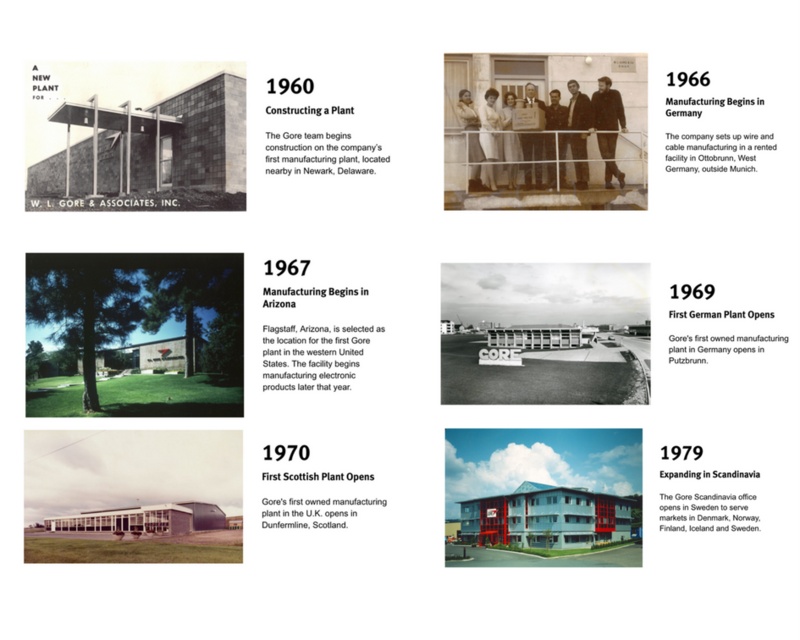 Initially, they raised seed capital from members of their bridge club and set up a production line for the electronics the company produced in their own backyard; employees would sleep in their basement and raid the kitchen for utensils they could adapt and use in the manufacturing process. Supposedly early customers would find blades of grass mixed in with the company’s first product, an insulated wire cable. Fast forward a few years: the company reached numerous milestones in its first ten years of operation, including its products landing on the moon, being found in the world’s most advanced computers and opening further manufacturing plants in Delaware and Arizona in the US, plus Germany, Scotland and Japan. The Gore culture, cultivated by the Gores from day one, was deeply embedded in each of these plants despite the diversity of the culture of the country. Bill and Vieve found that if you want a bureaucracy free zone, you have to tend to it constantly. One of Gore’s many distinct features, which is a key aspect of helping the culture remain bureaucracy-free, is that its plants never house more than 150-200 employees. As soon as it nears that number, the company will open another plant somewhere else — with good reason: Company legend has it that one day, Bill was walking through the office when he realised he did not know every associate’s name, which bothered him and prompted an interesting insight about the nature of groups. Through a process of trial and error, Bill came to see that something happens when a group memberships hits 150 people. It reaches a kind of tipping point where the nature of the relationships between people and within the organisation change — for the worse, Bill thought. He organised the business around this insight. The Gore buildings (which are kept deliberately bland and functional — more on that in a future article) can only house 150 people; there are 150 car parking spaces and 150 spots in the canteen. The plant reaches maximum capacity not when its machines are running at full capacity or when certain targets are hit, but when the car park and the canteen are full, and at this point, another plant gets opened — sometimes only a few miles away. - Social problems are minimised. This principle, of keeping plants small, became the genesis for a theory known as Dunbar’s Number and was outlined by Malcolm Gladwell in his brilliant book The Tipping Point. Robin Dunbar, an anthropologist and evolutionary psychologist, researched Gore as well as military units and Native American and Amish communities, after which he proposed that around 150 is the maximum number of people that any one individual can maintain stable, cohesive and productive relationships with. The exact number is debated — some sources report it’s 150, others say 200. For the sake of simplicity, I’ll go with 150.